An American best-selling author and keynote speaker, a significant thought leader in the personal development industry and former publisher of SUCCESS business magazine, Darren Hardy teaches his own street-tested life and business philosophy supported by the life stories and examples of the most successful people on the planet to inspire millions of people. From the very young age, Hardy was taught the principle “No pain, no gain” by his father. Being encouraged to take risk, overcome weaknesses, and constantly improve his skills and abilities, Hardy started his own business at the age of 18. It was not an easy route, in fact, it was paved with obstacles and failures. However, his passion for entrepreneurship and the lessons he learned throughout his childhood led him to become a self-made millionaire by age 27. He attributes his success to his dad and his mentor, Jim Rohn and other mentors along the way. 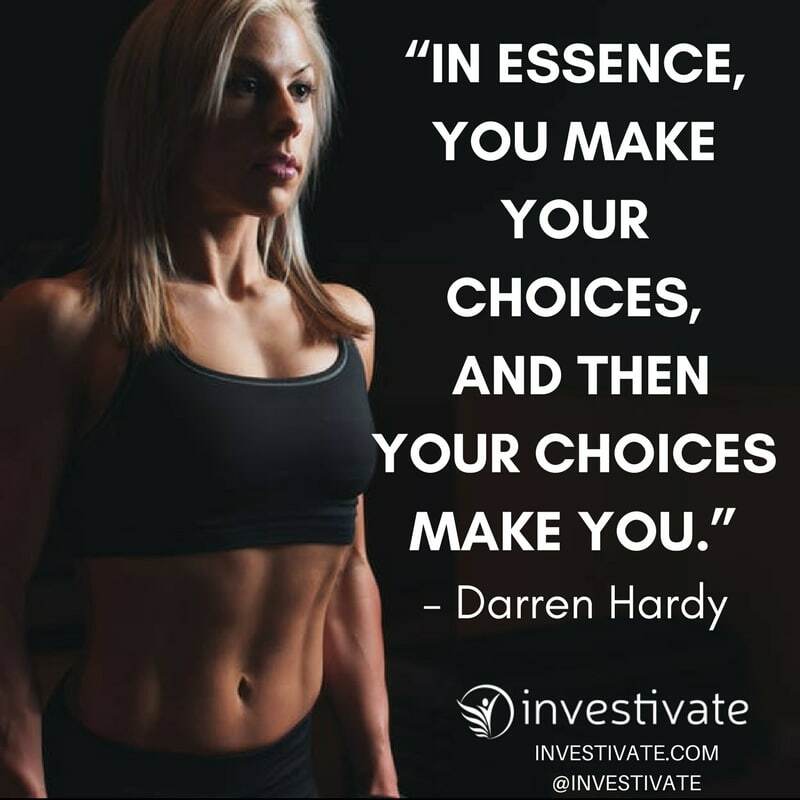 Darren Hardy started his career in the personal development and success industry as an executive producer of SuccessTV, a personal development-focused television network. It was the time when Internet media had just started appearing on the market, so he dived into relatively new and undercovered field. There he met Jim Rohn, who later became his mentor and a friend. In 2007 Hardy became the publisher and editor of SUCCESS magazine, print medium focused on professional and personal development. By working there for nearly a decade he had a unique chance to interview and study the most successful people on the planet such as Steve Jobs, Richard Branson, Elon Musk, Mark Zuckerberg, Jeff Bezos, Steve Wynn, Howard Schultz, Jack Welch, Donald Trump and other brilliant personalities such as Tony Robbins. He found the common pattern between the great achievers and discovered what it takes to become really successful. Hardy participated in the rebirth of SUCCESS Magazine, which exceeded 799,000 readers, and in December 2015 announced his resignation in order to search for new opportunities. Hardy has led three success television networks, including producing and master distributing of The People’s Network (TPN) and a president chair of The Success Training Network (TSTN). He had interviewed every famous thought leader of our time and produced a significant amount of TV shows. Today, Darren Hardy is preeminent success mentor to CEOs and high-performance achievers and a worldwide recognized leader in the personal growth and success industry. He has more than 20 years of work experience in this area. Hardy helps entrepreneurs and business leaders to succeed using his personal experience, principles, and the studies and investigations he has made throughout his career by analyzing the insights and business strategies of the world’s most successful people. Darren Hardy shares his works through his Facebook page, website and YouTube channel, where he spreads short daily videos on how to improve the quality of life, business, and productivity. Below are the best quotes we have collected. Some of them are from his books, others are from his daily teaching and keynote speeches. 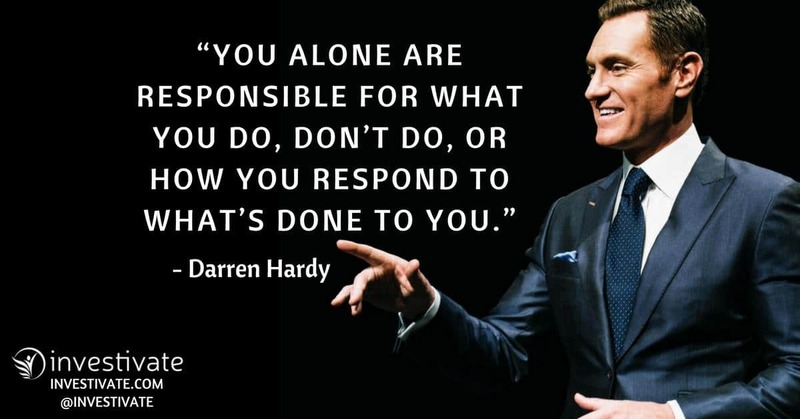 Those are the most inspiring quotes by Darren Hardy, make sure you don’t just read it but also apply it to your everyday life. Make sure you develop good habits, powerful daily routines that will support your goals and take massive action. As Hardy would say “Reading motivational quotes won’t make your successful. Just saying.” Get out of your comfort zone and take action now! If you love these insights, make sure to share this page with your friends.